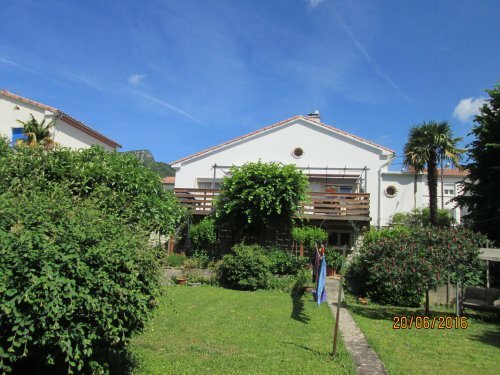 Lovely fully renovated (in 2013 with electrics, gas central heating, bathroom and kitchen) detached house, south facing, with a large terrace 45m2, across the back of the property, giving magnificent views of the foothills of the Pyrenees and the Gorge de Pierre-Lys to the south. 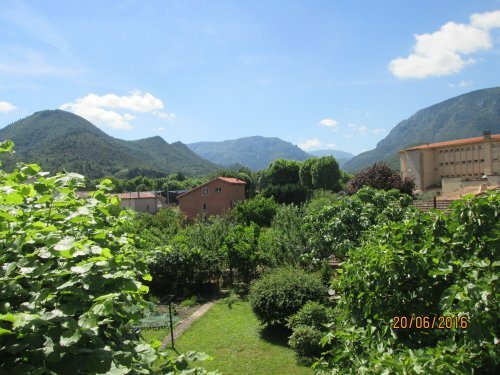 Situated just 2 minutes walk from the town centre of Quillan, with the river Aude running through the centre of town and its 12th century chateau, Quillan has hotels, bars, restaurants, banks, bakers, butchers, a Spar supermarket and a lively market 2 days a week, Wednesday and Saturdays. There are also pharmacies, doctors and a small hospital, a cinema and theatre with regular entertainment throughout the year, including English/American films. The house sits in a large garden 620m2, with its own water well and a drive to one side with large gates, to allow easy access for vehicles. There is another access to the garden at the other side of the property. Access to the house via 5 small steps with the front door into the entrance hall, housing a 2nd toilet/cloakroom and a doorway with stairs leading to the lower cave and back garden. 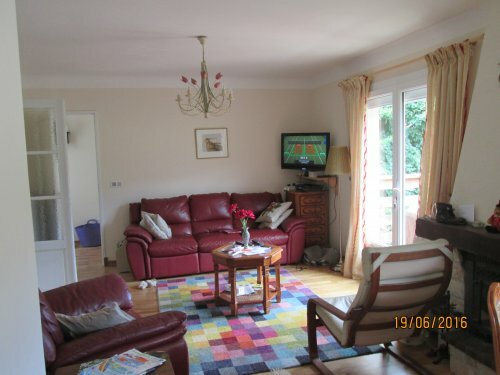 The lounge/dining room, with a log burner in addition to the central heating, a modern kitchen leading off and double french doors onto the terrace and views of the garden. 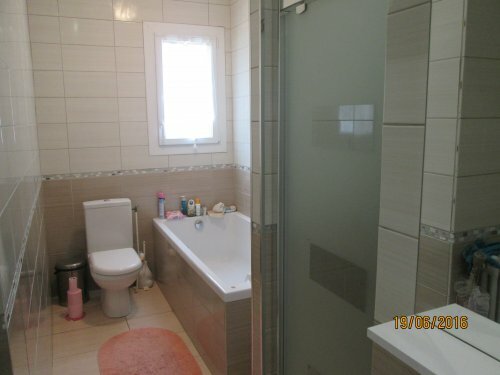 The large bathroom is fully tiled, with bath and separate shower, toilet and vanity unit. 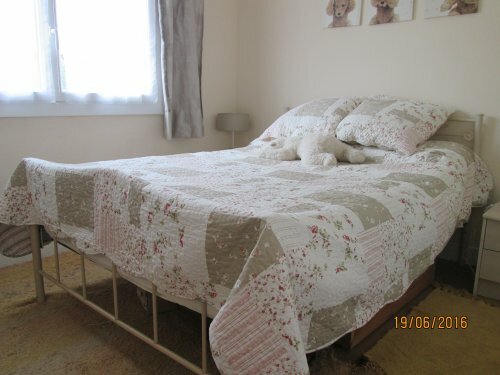 There are 3 double bedrooms, two with fitted wardrobes and one with french doors leading onto the terrace. 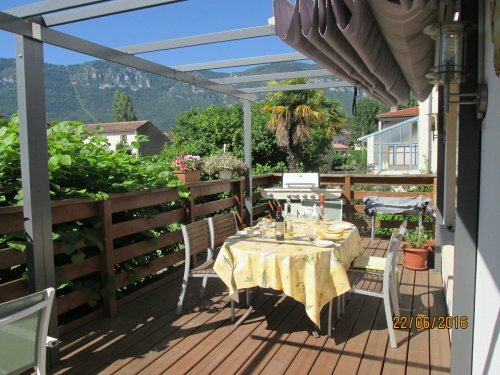 The terrace has ample room for dining and entertaining, approx 45m2. 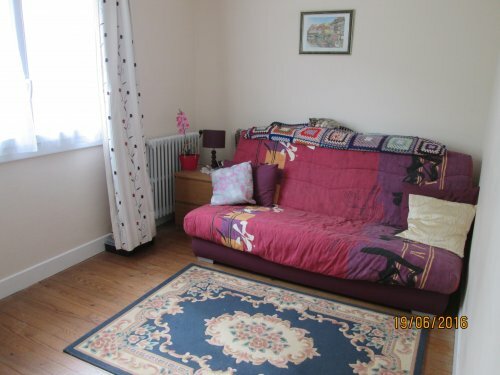 The cave area on the lower ground floor leading to the garden is the same size 82m2 as the current living accommodation and could easily be converted to a separate 2 bedroom flat as it has independent access, as well as access from the entrance hall. 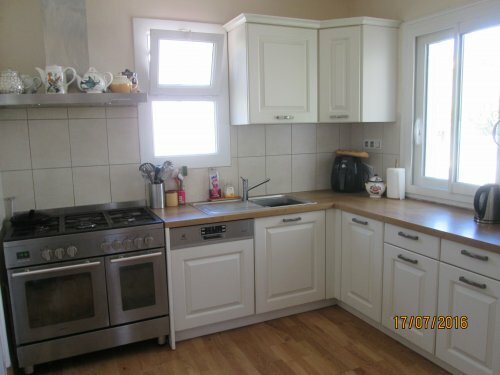 It already has electricity and water and houses, in a recess, the washing machine and tumble dryer as well. 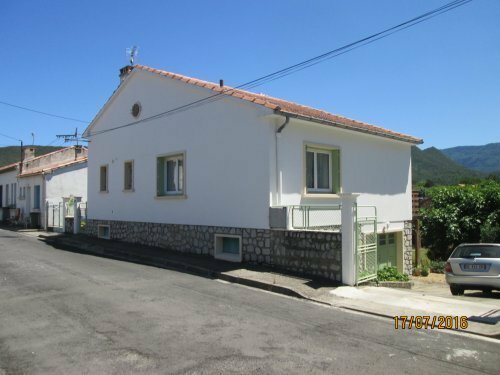 The house is situated in a quiet cul de sac with only 5 houses yet just a stone\\\'s throw from local transport, gymnasium and swimming pool. 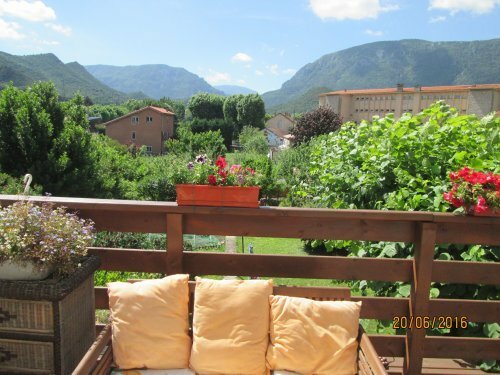 Quillan also has a large country park, opened in June 2017, called Parc Saint Bertrand, where there is a fishing lake, swimming lake, activities for children, exercise machines for runners, volley ball court, changing rooms and toilets, restaurent and cycling paths. The area around Quillan is known for white water rafting, kayaking and canoeing, walking, Cathar castles and many more activities.